Senior adult ministry isn&#8217;t what it used to be. The comfortable assumptions and outdated programs that were the basis for local church ministry are being challenged. Baby boomers are hitting middle age and retirement. And their own parents are living longer. 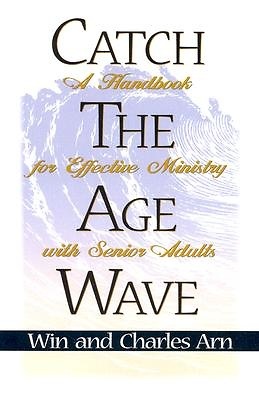 Authors Win and Charles Arn have updated and supplemented Catch the Age Wave with ideas, examples and advice to help the local church leader start and maintain a senior adult program. In addition, they have added practical program ideas to use in any local church setting. New challenges for a new day. Catch the Age Wave won&#8217;t let you miss the boat.